An hour before the Salvation Army opened its doors to the city’s homeless population on Saturday night, Capt. Josh Boyd worked alone, stacking chairs to make room for sleeping mats and those in need of warmth and shelter. The decision to open the facility as a makeshift shelter for Missoula’s overflow homeless population was made the day before. At 9 p.m., an hour before opening, Boyd stayed busy preparing for the unknown. Opening to intoxicated homeless residents, those with pets, and families unable to find shelter fills a need within the community. The Poverello Center can’t accommodate that demographic, given its policies, Boyd said, and the YWCA is often full with families. The Salvation Army won approval from headquarters in October to open its new Russell Street facility as a winter warming shelter. The Missoula City Council granted the organization a permit to do so in November. Boyd and has spent the past two months working to raise the $50,000 needed to hire shelter staff. Four employees have been hired, and they underwent training on Saturday afternoon. Other hires may follow. As Boyd prepared the facility – the sleeping mats freshly delivered and still in boxes – he considered the building’s capacity to accommodate those expected to come. The cafeteria will sleep single men and women. The lobby will serve those with pets. The chapel has been reserved for families. While the shelter was quiet before its official opening, Boyd expected that to change over the coming days as word begins to spread. And with the facility open to intoxicated homeless individuals – a first for Missoula – the police department will serve as a partner. While a recent “point in time” survey suggested a decrease in Montana’s homeless population, Boyd sees otherwise. The Poverello Center last year began turning away homeless individuals due to a lack of capacity, and this year has been no different. The Salvation Army stepped in to fill that need, though Boyd believes it will remain a challenge in need of both solutions and funding. Several private donors stepped in this year to help, including St. Patrick Hospital, the United Way, which raised $10,000, and DJ&A Architects, which contributed $12,000, according to Boyd. While the city and county didn’t contribute this year due to the Salvation Army’s last-minute request for funding, Boyd hopes they will do so next year. 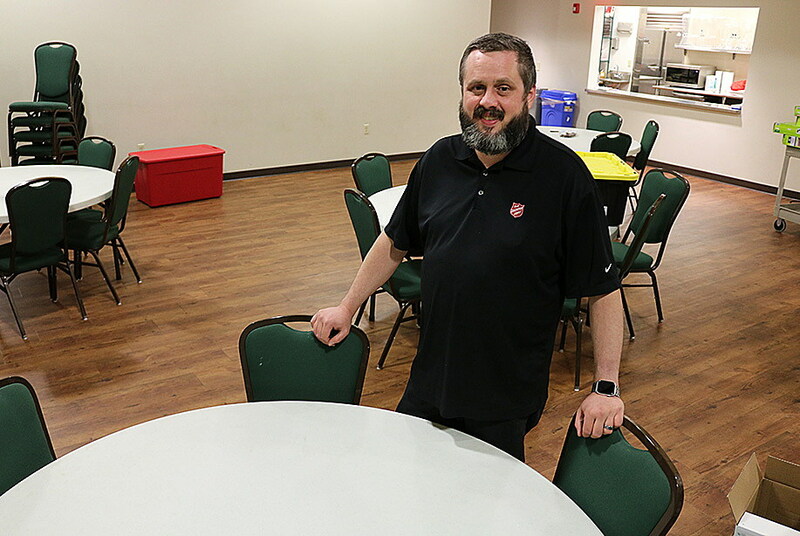 He fears private donors may grow fatigued and that fundraising for a shelter could rob contributions from the Salvation Army’s other programs. Boyd skipped his holiday vacation to open the shelter on Saturday night.